Add a personal touch to your dorm room with these projects that also help you stay organized! 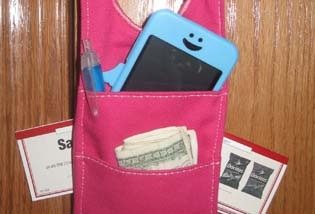 You can hang this little fabric organizer anywhere to help keep track of your keys, coins and other pocket goodies. Get the Hanging Organizer DIY by Stacy Schlyer. This larger organizer can hold office supplies, accessories, or personal items. 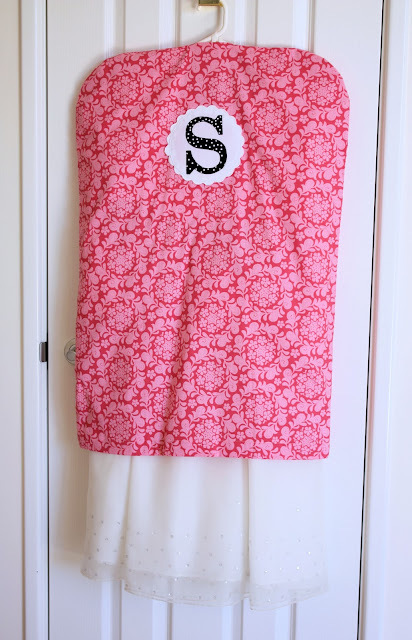 Hang on any wall or the inside of a closet door, and personalize with your favorite fabrics! Get the full Pocket Organizer how-to! Keep your hanging garments organized and let your roommate know what outfits are off-limits by stitching up a few custom clothes protectors. Find the Garment Protector project right here. And if you want to warm-up the look of your dorm, here are 3 quick and easy projects to give your room a more home style look. 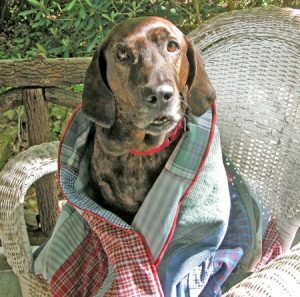 Make a quick-stitched comfy quilt with Jo’s easy instructions. Personally tested and approved by Belle! Find the DIY in our free online magazine, Through The Needle. 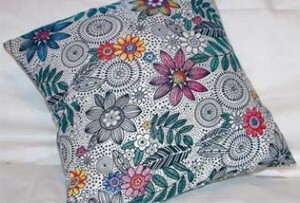 Grab some of your favorite fabric prints and colors and cover some pillows. Nothing makes a space feel instantly more cozy than a few throw pillows! Get the Pillow Slipcover project here. 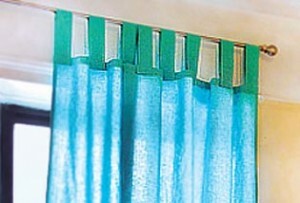 Make a quick and easy set of curtains to cover your window with this easy DIY Loop Curtain project. And if you are looking for still more decorator projects to help jazz up your room, check out our Home Décor Pinterest board for many more inspiring and free project links!